A lot got left out of my analysis of Paul Ryan’s politics, because I thought the best angle to cover early on was one that would probably be ignored by the press, and abused endlessly by unofficial disinterested partisan hacks engaged in campaign warfare. Oh, he’s such a right-wing radical American Taliban extremist. He’s going to end the world! He’s a mainstream moderate and a smart visionary. Paul Ryan is none of those things. Ryan does not stand out from his party when it comes to the way he votes. He’s about as conservative as Michele Bachmann in practice (which doesn’t always match campaign rhetoric), and nowhere near the moderates or staunch conservatives in the Republican House caucus. I showed that supposedly moderate Ron Paul is actually the second most conservative candidate in the House today, which is really saying something given how far away from center the most conservative House Republicans are. As far as that’s concerned, Ryan isn’t an ideological savior for Mitt Romney’s weak right flank. He’s neither too extreme to be toxic, nor conservative enough to bring in any new votes from the far right of the base that would rather stay home, than vote for someone like Romney. Such as it is, Ryan neither helps nor hurts Romney because of his degree of ideology. But obviously there’s a lot more to a person than that. A few 2012 GOP candidates and a whole lot of 2010 Tea Party Congressional candidates ran on an anti-incumbent/establishment/Washington insider platform. Voters love insurgent outsiders. Mitt Romney is a Washington outsider, but his running mate is not. Paul Ryan almost immediately entered public service after graduating from the Miami University of Ohio, serving various roles for Bob Kasten, Sam Brownback, and Jack Kemp, before being elected to the House himself in 1998. Ryan has held his seat ever since. Although he’s pretty young by Washington standards, Ryan is a career politician, knee-deep in the dirtiest, ugliest function of government: budgets. Ryan, as budget chair, signed off on raising the debt ceiling, and the most recent $1+ trillion deficit budget. For someone whose image is at least half defined by fiscal conservatism, Ryan has been involved in some of the most significant acts of deficit spending in history. To be fair, Ryan is not a dictator with total control over these things. But as budget chief, he’s the GOP’s top man in the House for these issues, and he’s been neck deep red ink for years. Without engaging in the worst kind of cynicism, Romney can no longer run as an outsider, any more than John McCain was able to attack Senator Obama in 2008 for being inexperienced after selecting Governor Sarah Palin as his running mate. Given how little Ryan brings to the table — he’s only had two pieces of legislation passed in over a decade in office, and no budgets as chairman — and the volatility of the national conversation on any given day (taxes, jobs, foreign policy, reform, energy, etc) it seems like a mistake for Romney to rob himself of a populist and successful (2010) message. But then, I’m not sure the Romney campaign (or any politician) really cares about cynicism. Paul Ryan isn’t nearly as famous as his signature policy of “overhauling” Medicare, Medicaid, Social Security, and food stamps. Ryan claimed during his introduction speech that President Obama has cut $700 billion from Medicare, as if that were a bad thing in the eyes of the Republican Party. The crowd, revealingly, barely booed when Ryan said that. The message was clear: Obama is the one destroying Medicare, and we’re trying to save it. Mitt Romney and Republican National Committee chief Reince Priebus repeated the claim. What they all left out is that Paul Ryan already tried to make identical cuts in his infamous budget, but fell a step short by not specifying what he intended to do with the money those cuts would save. President Obama is using them to help pay for insurance subsidies in his health care reform law. It’s been speculated that Ryan would use the savings to offset some of his new, large tax cuts, thereby not reducing the deficit. But because Ryan won’t say, nobody really knows for sure. That cynicism, or just having that baggage, may cost Romney. Florida isn’t the only state with an elder population. Pennsylvania has the second oldest population in the country, and crucial swing state Iowa is the fourth oldest. Iowa and Florida are the kind of states that can be swung by just a few point change in a large demographic. Romney and Obama have been trading Florida back and forth over much of the summer, but Obama has recently stabilized a small lead. A 1-2 point change in Florida could mean a great deal if the race tightens nationally. And a quick look at the current electoral math shows a map where Mitt Romney can’t win the election without winning Florida. 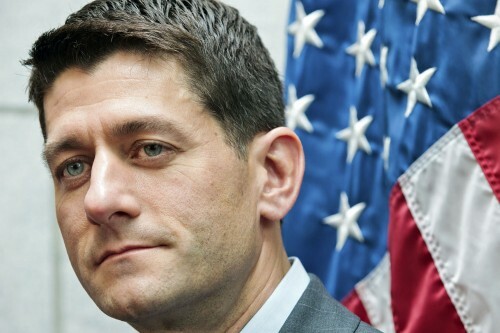 Something else about Paul Ryan is that he doesn’t help the tax situation go away. In fact, he’s going to make it worse. Although I don’t have a link, I’ve heard that Ryan will only release 18 months worth of tax returns, just like Romney. I believed, before I learned this, that this was a no-win scenario for Mitt Romney. If Ryan released fewer years or the same number of years as Romney, it would double the impression that the Romney campaign is unnecessarily secretive. Keeping secrets from foreign nations and enemies is good, but keeping secrets from the American people when you’re asking them to elect you to the White House is a very serious issue. We’ve already seen candidate Obama go from promising the most transparent administration ever, to running one of the most secretive in American history. It doesn’t bode well for transparency advocates to see Presidential candidates actually perpetuate an air of secrecy before they are even elected. The worse case for Romney, though, was Ryan releasing more tax returns. That would have raised such obvious and incriminating questions that they probably would have destroyed Romney’s candidacy. Still, the tax situation continues to worsen. Paul Ryan is proving as secretive as his running mate, probably to protect him. Loyalty is good, but Americans want Romney to release additional years 54-37 in public polls, crucial independents 53-46, and even 30% of Republicans want to see more. Romney’s father, George, released 12 years worth of tax returns in 1967, and Mitt gave John McCain 23 years worth of returns in 2004 while McCain was searching for a running mate. Romney supposedly asked his potential picks for quite a few years. Make of that what you want, but I think the only way that Ryan could have helped Romney is by convincing Romney to release more years, so that Ryan could do the same. Instead, we now have a potential Vice President as secretive about his business dealings and finances as the potential President. Joe Klein, writing for Time, noted that the “party of national security” now has a ticket with no military or foreign policy experience, which really stands out when Ryan was introduced in front of a warship. Republicans criticized Barack Obama for not having served, but chose as their nominee two people who have never been anywhere a battlefield, and likely never will be. It’s not wrong to say that X matters to you and then do Y, but an explanation is due in that case. If Barack Obama was wrong for America because of the War on Terrorism, claimed threats from China, North Korea, and Iran, because of a lack of military experience, how can Mitt Romney and Paul Ryan be any better? Klein also notes the more important point. Ryan does nothing to help Romney win Wisconsin. Ryan has never run, much less won, a statewide campaign, isn’t well known yet, and Wisconsin isn’t purple. It’s blue, and this pick does nothing to change that, while picking Rob Portman could have at least had a chance at bringing over Ohio, just because of that. It’s not clear that Ryan helps Romney win anywhere, actually, while carrying the risk of alienating at least some older voters in every state in the union. If the election is close, that could matter a great deal. If it’s outside the margin of error, it won’t have mattered at all, even if a lot of older voters were swayed. On religion, Ryan is a Catholic for whatever that’s worth. But remember, the Catholic Bishops that opposed the Obama administration on the contraception mandate (and secured exceptions which seemed to have addressed those concerns) also denounced Paul Ryan’s budget (which the GOP House passed) as cruel to the poor. Polls showed at the time that American Catholics approved of the contraception mandate as applied to religious institutions 61-32, while Americans overall supported it 61-31. Majorities of men (55-38) and women (66-26) approved. Obama-Biden won Catholics 54-45 in 2008 overall, but lost white Catholics 47-52. Ryan could peel away some of that demographic with his faith, but not necessarily with his actions on behalf of that faith in Congress. Catholics make up 25% of voters in swing state Iowa, so this isn’t nothing. Aside from faith, it’s worth noting that the GOP, desperate to win over African Americans, Asians, Hispanics, and Jews (I’ve been told it’s both a faith and ethnicity) — all groups that Democrats win by large margins or blowouts — has none of those things on its ticket, nor a woman. Democrats aren’t always better on this, but at some point it stops being about politics and starts being about practical strategy. If Republicans can split the Hispanic and women vote, they could easily win the election. But this ticket does nothing towards that end. It has been noted by others, and I won’t get into it here because I could go all day about Ayn Rand, that Ryan is a devotee of Rand. Yet he used his father’s social security benefits to help pay for an expensive college education outside the Wisconsin system, and has essentially spent his entire life cashing government checks. His health care, paycheck, and retirement are all paid for by the government, as was some of his education. And in that life as a public servant, Ryan wants to privatize Social Security, cut Medicare spending, opposed the kind of health care he gets from the government for the rest of America, and wants to convert the food stamp program into block grant program directly to the states, which historically has been a bad idea. States typically abuse such programs to pay for their own budget deficits. I’m no Ayn Rand expert, but I have a feeling that Rand would consider Paul Ryan a hypocrite who only supports her policies when he can apply them to everyone except himself. That won’t change the election one iota, but it does give you an idea of who Paul Ryan is on the inside, which in turn will give you an idea of what he would do as President, should Romney… expire, and what he would advocate for as VP. I think it’s also likely that Rand would hold the modern GOP in low regard. Cutting taxes for the rich without paying for them is economic redistribution from the middle class, which is stuck with the debt, and to the rich, who shoulder less of the burden by paying less in taxes. That is the kind of class warfare that Rand professed to hate, only in this instance, it’s being waged against the middle class, as opposed to her fantasies, where it was waged against the rich. She’d also presumably have disapproved of the Wall Street bailout, which was supported by most Republican leaders at the time, the 2008 GOP presidential nominee John McCain, and including one Republican Representative from Wisconsin named Paul Ryan. Ryan voted to pass the Troubled Asset Relief Program, the loans to GM, and voted in favor of taxes on bonuses for AIG executives. His explanation is intellectually consistent with his world view. Primarily, that without TARP, the country would have experienced a full-on depression, which would have resulted in a “big government agenda sweeping through this country so fast that we wouldn’t have recovered from it.” His choice, as he saw it, was vote for a little Big Government intervention to prevent a depression now, or allow a depression to create a whole lot of Big Government very soon. While that seems like a narrow and false choice, it is, as I said, intellectually consistent. There’s more to consider, but I think that’s a pretty good start.